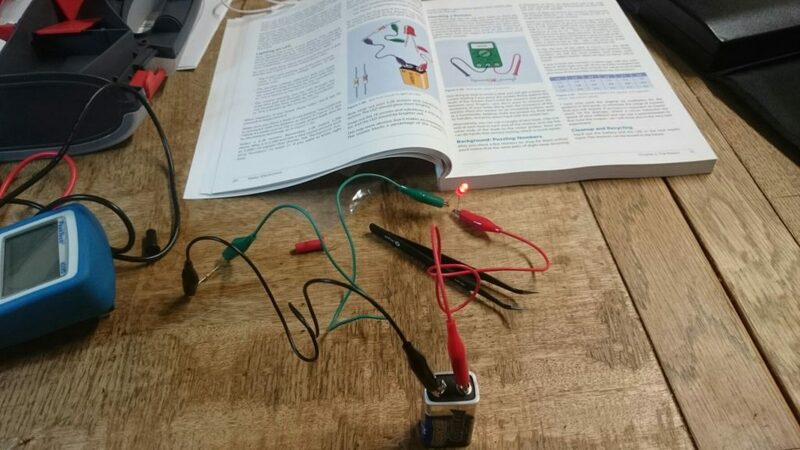 A 9V battery, some test leads and croc clips, a resistor and an LED. I am way more excited about this LED lighting up than perhaps I would have expected to be. This is loads of fun. I’m even enjoying measuring the resistance of resistors with the multimeter and cross-checking against the reading from the coloured bands.